When the name of the game is agility and responsiveness, your applications become increasingly vital. No matter which industry you work in, your enterprise software is the fuel that will drive competition and innovative efforts. The question has now become how to accelerate digital transformation. 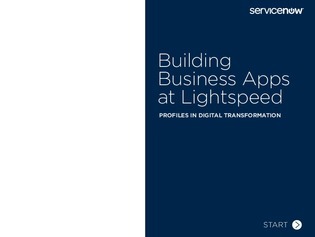 In this e-book, you will find nine case studies of enterprises building apps at lightspeed and two developers that are accelerating digital transformation efforts.